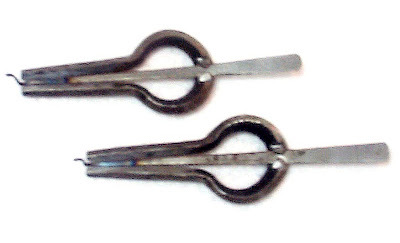 In Sindhi the Jaw harp (or Jews' harp) is called Changu (چنگُ). 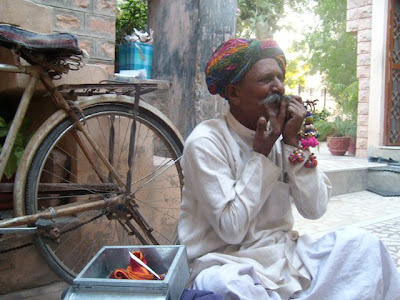 In Sindhi music, it can be an accompaniment or the main instrument. One of the most famous players is Amir Bux Ruunjho. Sindhi Changu by Amir Bux Ruunjho. Sindhi Changu by Amir Bux Ruunjho. The Jew's Harp is a small musical instrument which is held against the teeth or lips, and plucked with the fingers. Its appearance in many cultures of the world, and ancient roots, attest to the magical essence of this simple instrument. Musicologist Phons Bakx of the Netherlands has compiled the nomenclature of over thousand names for the Jew's harp from all over the world. Jaw harp is a 20th century creation. It was first suggested as an origin of Jew's harp as pure conjecture - there is no evidence of that name ever being used in common parlance before then. From that point, several different music historians indulged in sloppier and sloppier research, until jawharp as an origin progressed from baseless conjecture to absolute "truth". Jaw harp, then, is not an invented term intended to be politically correct, but is rather a misnomer brought to life by bad scholarship. In its favor, jawharp is a misnomer of a misnomer - a quirky name for a somewhat quirky instrument. English is a fluid, flexible, and capricious language. Whether Jew's harp, trump, jawharp, or something else enters popular usage cannot really be dictated. Even if it could, changing language in the name of "correctness" seems a bit Orwellian. The majority of the Jew's Harps are found in rubbish heaps and down wells, obviously discarded as useless. Jew's Harps were not only present in the North American colonies, they were being used, and broken, in substantial numbers. 1850 Up until the 1850's, the Jew's Harp attained a remarkable prominence in the musical life of Western Europe. In 1824, he played his first successful concert in Stuttgart, Germany. Soon he became more successful, but always lived near poverty much of the time. He also taught himself to play guitar and was soon becoming well- known throughout Europe for his Jew's Harp mastery. He became recognized as one of the finest players in London ... and played for royalty (such as the Dukes of York, the Duchess of Kent [mother of Queen Victoria], and the King of England). He lost one of his front teeth and with a false tooth, he could not play the Jew's Harp for awhile. He turned to giving guitar lessons for income and was very successful at this for many years. He started playing Jew's Harp again, making a good income. But eventually he lost most of his teeth and had to stop playing Jew's Harp altogether. He married and had three children, living in his native home of Heilbronn until his death. He was truly a great Jew's Harp player and for that reason alone he should never be forgotten. Quote from the HAWK'S EYE (Burlington, Iowa ... June 6, 1844): "Woman is said to be like a Jew's Harp because she is nothing without a tongue and must be pressed to the lips." (added later by the Quarterly Visitor of Washington, Iowa:) "Then she is music for the soul." It's Marvellous post and also image. I liked it.